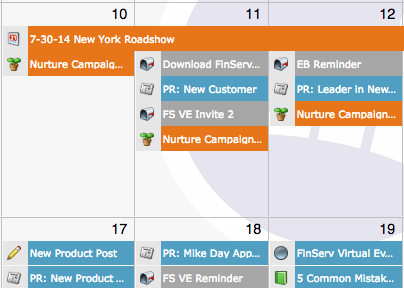 Marketo recently rolled out its Marketing Calendar functionality. 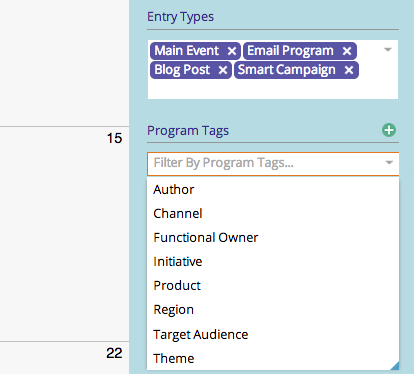 With the Marketo Marketing Calendar, users can plan and execute within a single platform. Marketers can Access all plans and activities via one, up-to-date system, ranging from a regional demand generation plan to the contents and recipient list of any email campaign. Via a drag and drop interface, marketing programs can be build and modify directly in the calendar. This allows users to coordinate them with other planned activities in real time. The calendar can be segmented by for instance channel, region audience and more to create relevant views for team members and stakeholders . It can be shared across the organization to promote and align marketing efforts. The Marketo Marketing Calendar promises a comprehensive view of all activities across the organization and a single platform on which programs can be planned and executed for global marketing organizations. As a result, teams should be able coordinate and communicate more effectively and avoid scheduling conflicts and communication gaps. According to a recent survey by Marketo of nearly 500 marketing professionals, 84 percent of respondents rated marketing calendars as “extremely important,” but more than 70 percent admitted they are using disconnected tools such as spreadsheets and whiteboards to plan and manage dozens of simultaneous activities.